we always seem to have an abundance of apples around our house during this time of year. i'm certainly not complaining. we love apples and we eat them in and on just about everything. over the weekend we used a couple of our apples to make baked apple chips. 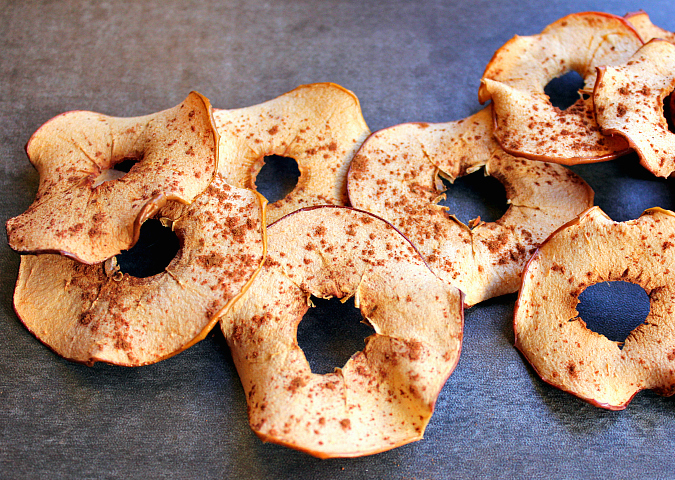 these baked apple chips are ridiculously easy to make. all you have to do is just slice up the apples, sprinkle spices on them, and throw them in the oven. it's hardly a recipe! the hardest part is waiting for them to bake. they take 2 hours to dry out in the oven, but it is worth it because once they are done they are wonderfully sweet and crisp. they make a great healthy snack! you can use any type of apples that you like (our favorite types of apples are honey crisp and mcintosh). 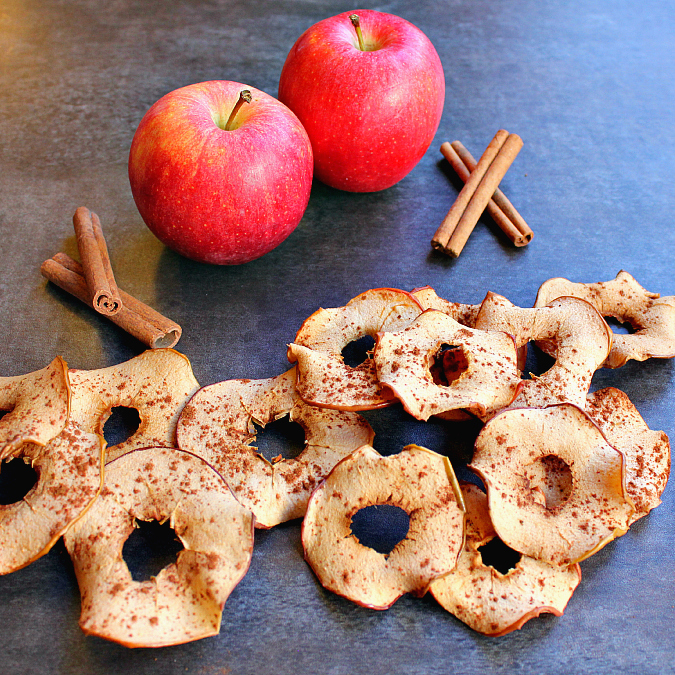 a nice added bonus is that your house will smell amazing while these apple chips are baking. you just can't beat the smell of fresh apples baking with fall spices during this time of the year. preheat your oven to 225 degrees F. core the apples to remove the seeds. using a mandolin, slice the apples 1/8 inch thick. arrange the apple slices on a baking sheet lined with parchment paper (be sure that the slices do not overlap). 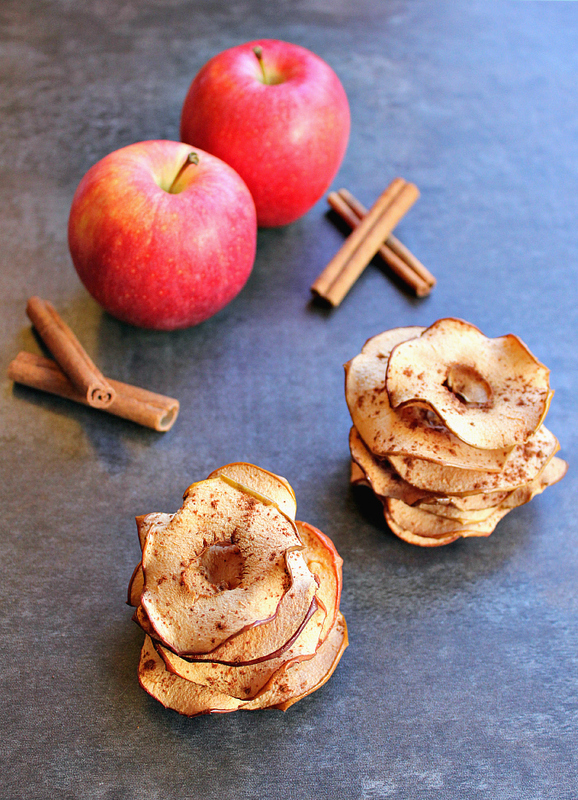 dust the apple slices with pumpkin pie spice. bake for 2 hours, flipping the apple slices every 30 minutes. once crisp, remove the apples from the oven and allow them to cool before serving. Will try them. I love the apple crisps in salads but the ones you buy are fried. I wonder if they would be good with cheese like a cracker. my oh my. adding these to my recipe book. nothing is better than dried/baked fruit. thanks for the share!